School is back in full swing. Most of us have gone through weeks of trying to make sure our children have all the necessities, supplies, and donations requested by their teachers and schools. As annoying as all that shopping may be, there are students who do not even have access to an education more or less educational supplies. 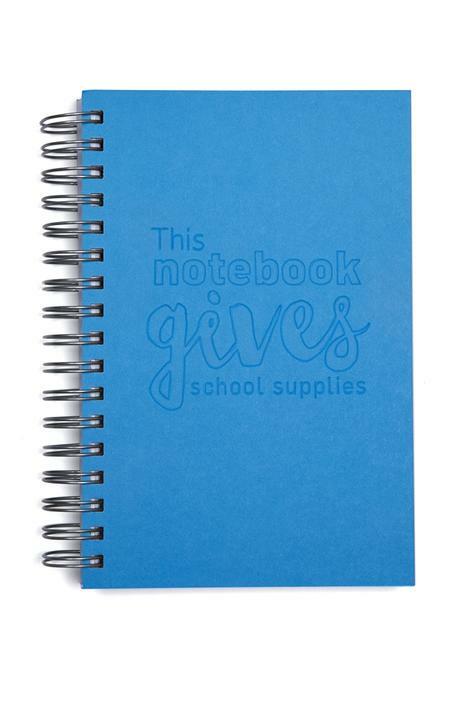 ME to WE has joined forces with Walgreens to help students in developing communities obtain an education, among other beneficial programs, through the proceeds from selling specified school supplies. ME to WE is an organization that got started about a decade ago as a way to help Kenya’s Maasai Mara women to market their beadwork ware to an international market. Working closely with WE Charity, ME to WE has expanded their operation to include many different artisans, crafts and even farmers from Kenya and now, Ecuador. Some of the money made from selling these items is used to help support the development of education, the supply of clean water, food, and healthcare, as well as offer additional financial opportunities for the communities in these countries. When you give a ME to WE gift, you’re part of something so much bigger than a simple gesture. You’re part of a sustainable cycle of good. You could give a Rafiki Bracelet that helps fund a clean water system in Kenya, or chocolate that helps build a school in Ecuador. And through our Track Your Impact promise, you get to see where and how you changed lives, with stories about the people and places behind every purchase. Of course, you can find out more about ME to WE, and support their efforts, by visiting their website at shopmetowe.com, but you can also look for supported school supplies at Walgreens. Some examples include calendars, notebooks, bookbags, and totes. I hope you’ll find something you can use that will help ME to WE continue their important work to impact communities in need.